In 1972, the people of Clark County elected the first African-American member of the Nevada Senate. He got little attention or help in the Senate then. 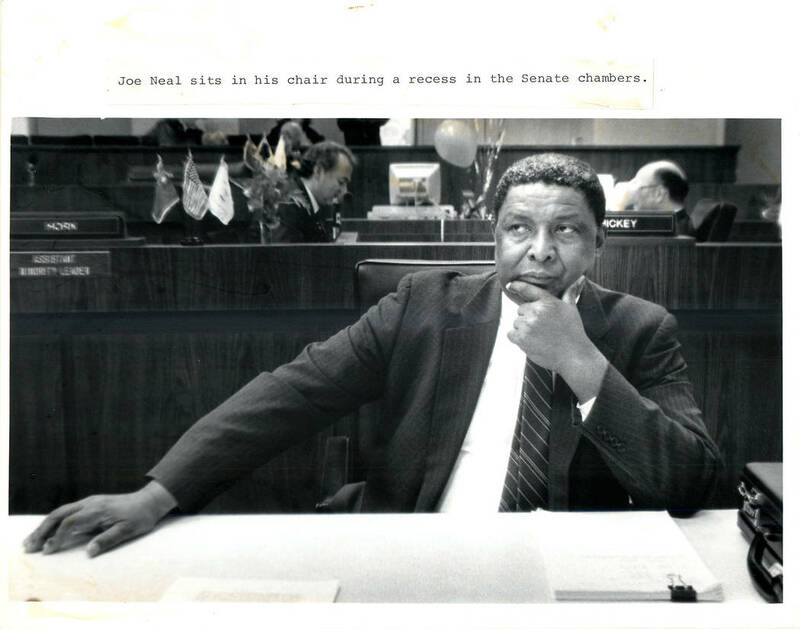 Las Vegas Review-Journal/file photo Joe Neal sits in his chair during a recess in the Senate chambers as shown in a 1989 file photo. Benjamin Hager/Las Vegas Review-Journal Former Sen. Joe Neal, 83, D-Nev., at the Review-Journal on Thursday, Feb. 7, 2019, in Las Vegas. By the time he left the Senate in 2004, he had achieved much and had served occasionally as acting governor. 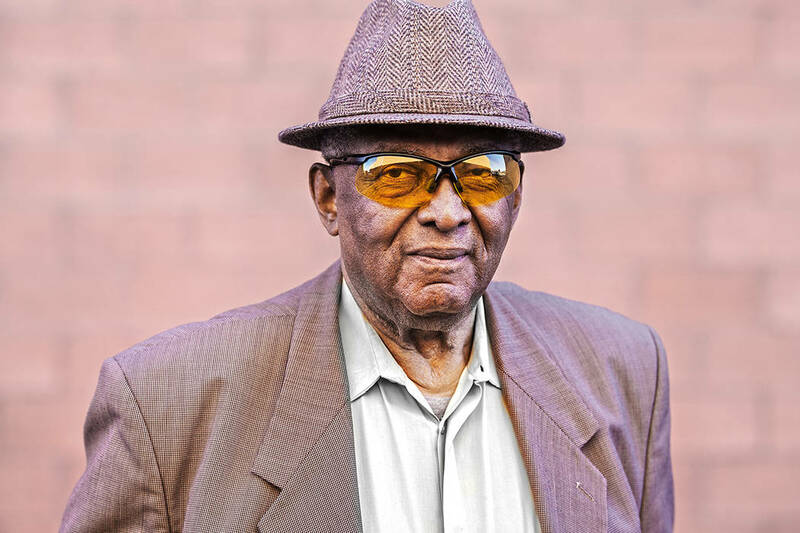 His name is Joe Neal and he is the subject of a new biography, “Slugger,” by veteran reporter John L. Smith. Neal was born in Mounds, Louisiana in 1935. I haven’t been able to find the 1930 census figure for Mounds, but in the 1920s the U.S. Agriculture Department installed a mosquito control experimental station that investigated how to deal with malaria. There was a plantation in town and sharecroppers, who benefited from a New Deal farm program. Today there are either 12 or 18 people in Mound, depending on who’s telling it, in four households. It has two claims to fame—it is the smallest Louisiana town and it is one of two towns in the nation that have “an entirely European-American population and a median household income above $200,000,” which speaks highly of the New Deal. Joe Neal, a constant reader, became a believer in the New Deal style of government. Though his Louisiana parish was laced with racism and hatred, he had surprisingly little bitterness by the time he got out in the mid-1950s. Brown vs. Board of Education happened when he was just 19 and already out of high school. Residence in Las Vegas’s Westside, air force service, and civil rights activism all pushed Neal forward. When he went to the Senate, he learned the house rules. So did many legislators, but he also learned the secondary rules – Mason’s Manual. It was he who came up with the strategy that pushed the Equal Rights Amendment through the Senate. He competed with conservative Democratic leader James Gibson in skillful use of the rules. He chaired committees and won key victories, formed alliances with community activists. Slowly he gained influence. He also gained seniority, did a stint as Democratic floor leader which was a mismatch, then became Senate president pro tempore. Along the way, he gained respect from titans like Republican William Raggio. Always, always, he looked out for those who were hurting.